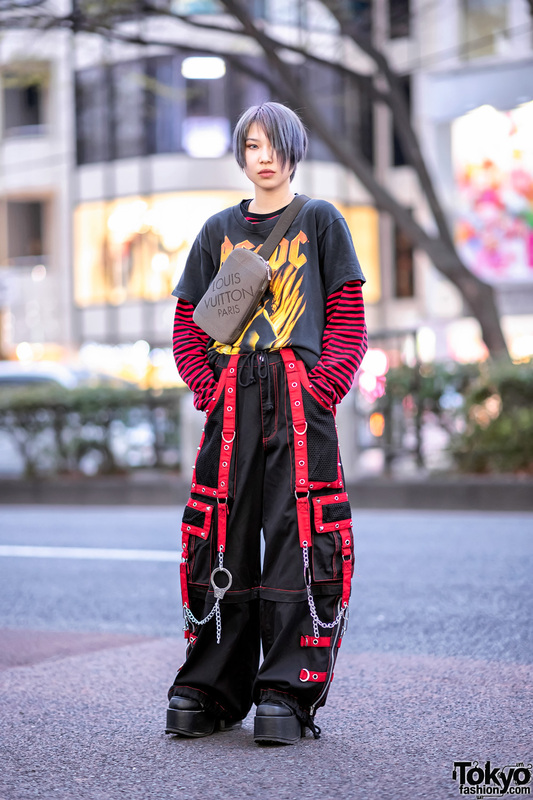 While out for a walk on the streets of the Harajuku neighborhood, we met Mami, an 18-year-old who works with the popular independent Japanese streetwear brand HEIHEI. Her cute monochrome ensemble easily caught our attention. 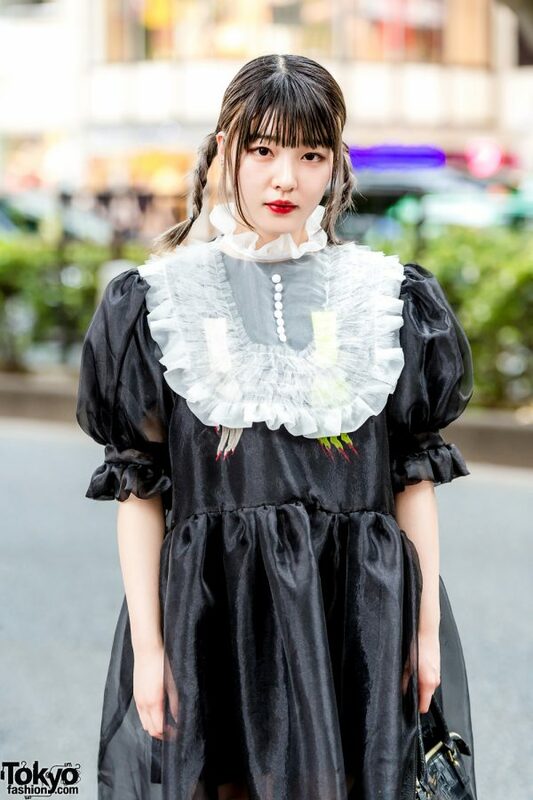 Mami’s street style consists of a sheer black organza dress with a sheer white ruffle collar and puffed sleeves, which she paired with a black skirt under the dress – both items by HEIHEI. 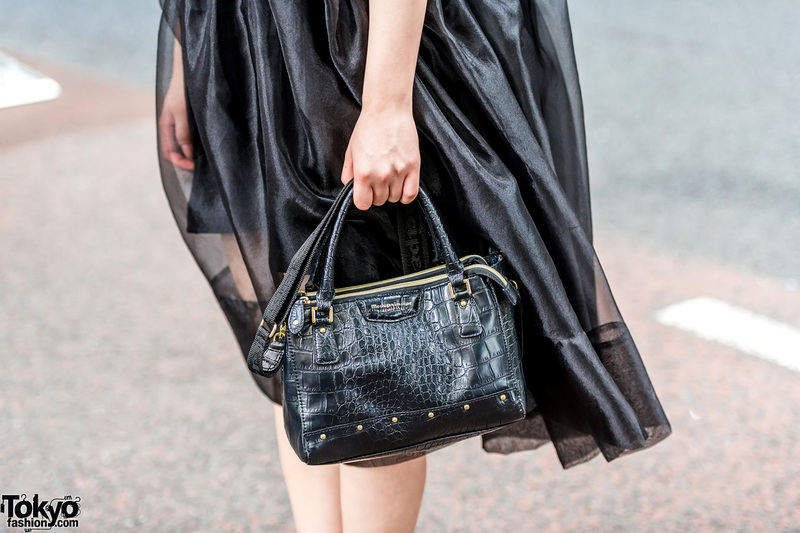 She finished off her style with black ruffle socks, black platform lace up boots with satin bows and studded heart cut-outs, and a black crocodile print handbag. HEIHEI is Mami’s favorite fashion label, and she is active on Instagram.